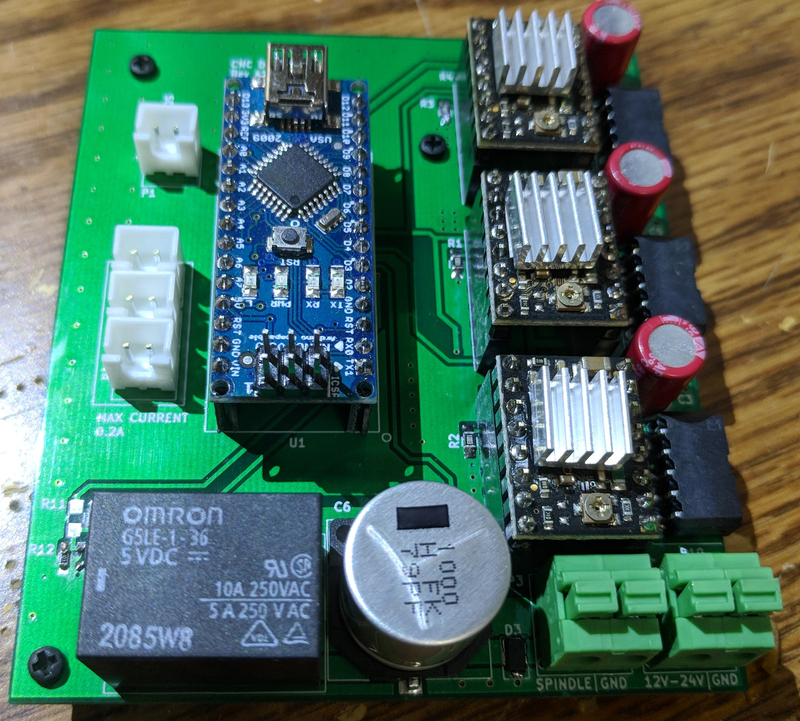 With all the low cost CNC machines out in the market, there is also an abundant of GRBL shields for the arduino platform. Like always, I’m always looking to for ways to customize and improve whats in the market. 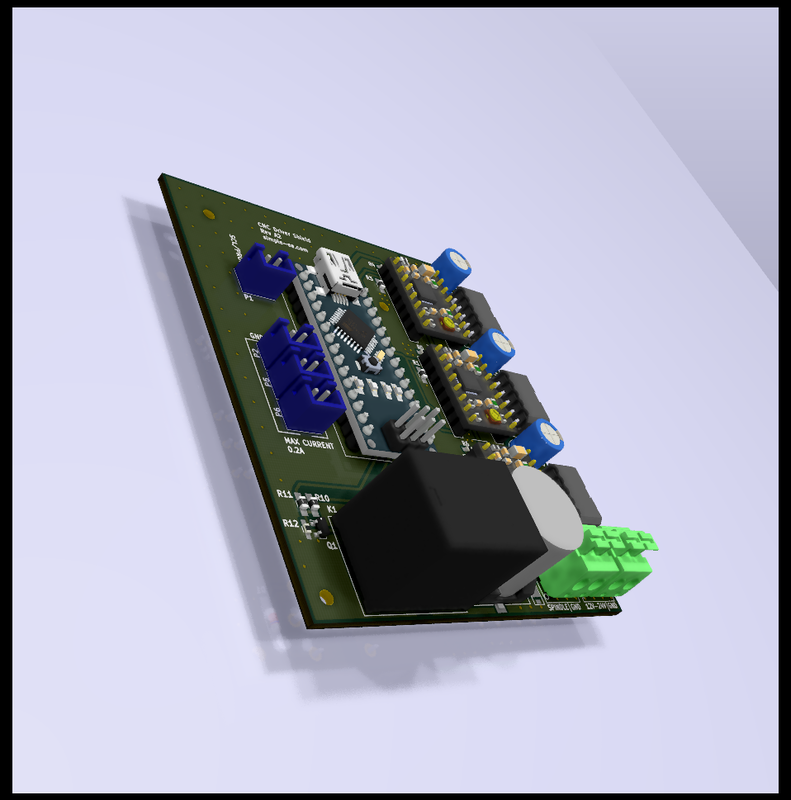 What I’ve created is a slightly better GRBL controller board for low cost CNC machines. 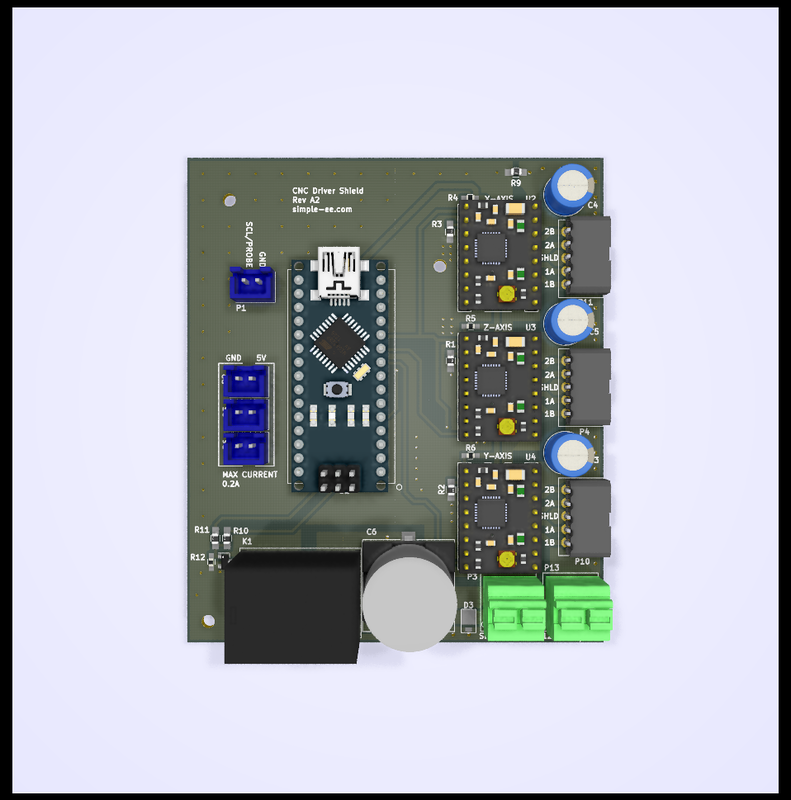 This uses the Arduino Nano instead of the Uno as this allowed for more flexibility on the size of the board. 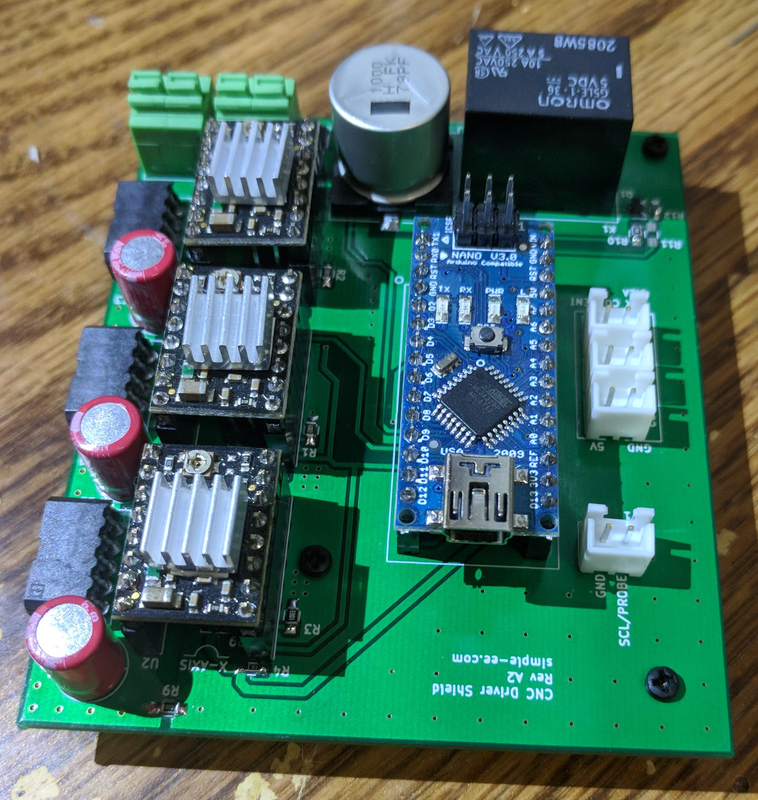 It also integrates the relay switch for the spindle with an integrated flywheel diode to avoid over voltage spikes when the spindle is first turned on. Below I’ll discuss in more detail along with the files you need to create this board. 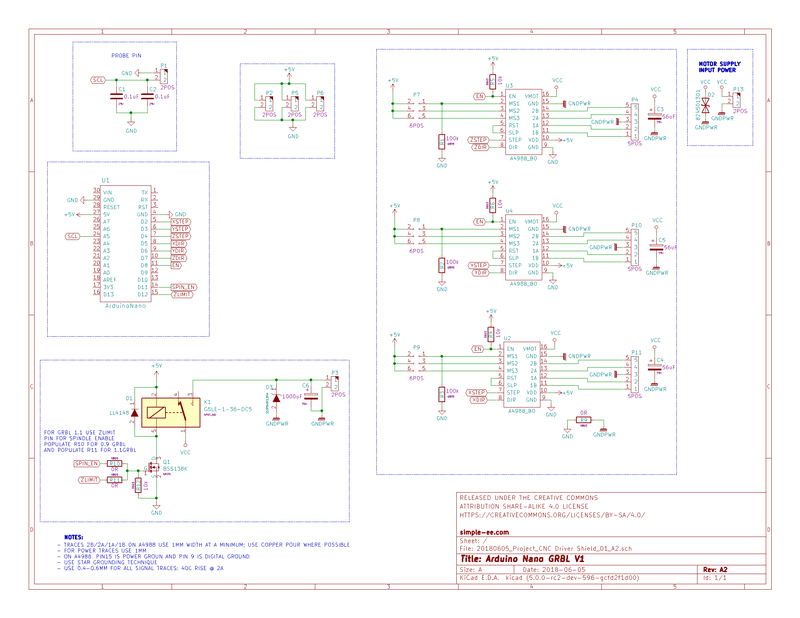 Here in the schematic you can see a couple of items that are different from the traditional ebay/amazon grbl shields. First of all this is not a shield per say but more of a standalone controller board. I’ve added a TVS diode at the power input that protects from over voltage spikes. Added relay control on the main board to eliminate adding external relay switch for the spindle. 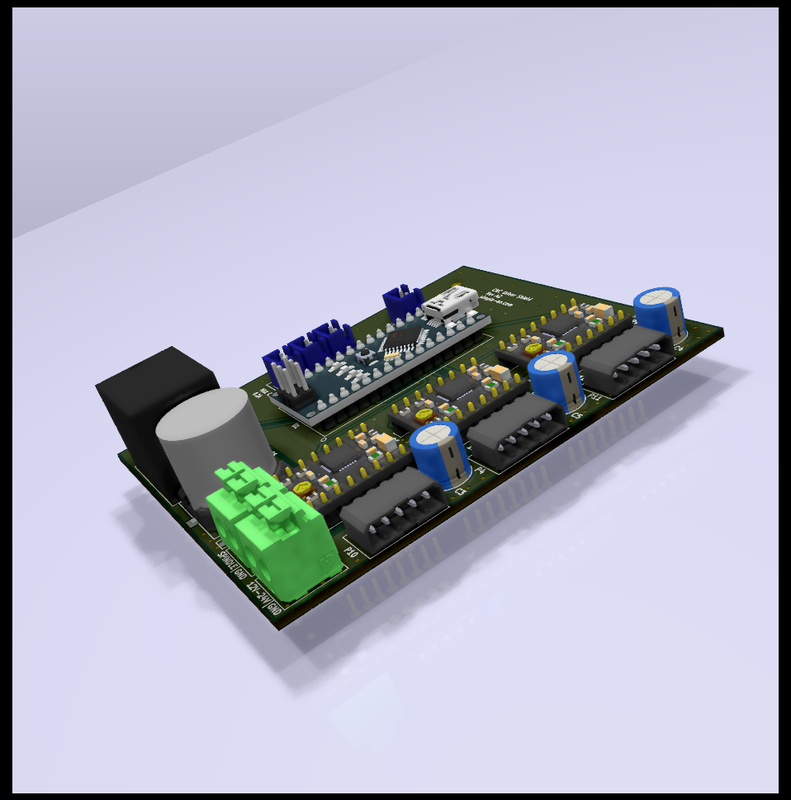 Here is a 3D Rendering from Kicad of the board. I’ve added this rendering because I thought it looked really cool. Below is the board fully soldered and it works amazing. 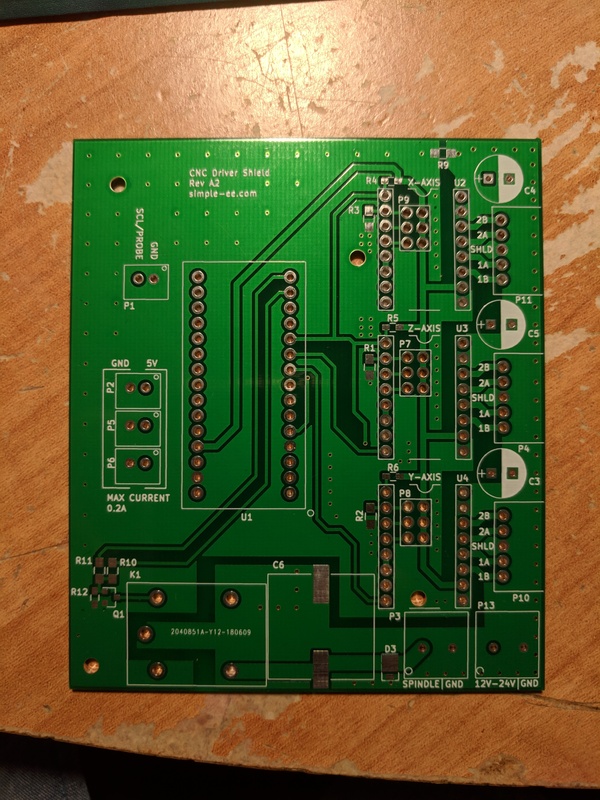 I will add some images of the quality of boards my machine makes with the new controller board. Future revisions of the board I will increase the 5V rail to supply up to 1A of current for high current draw fans and order accessory’s. Also, I will try to route out the limit switch pins. This will require me to remove the z-limit switch pin that connects to the spindle control but that should not be an issue. If you have any comments or suggests please feel free to send them my way.